Dan and Jessica met in college while they were on the rowing team. They got to know each other over 5 am car trips to the boat house and 7 am breakfasts every morning for almost a year and became very close friends. Shortly after the rowing season ended, they started dating as it was a natural extension of their friendship, and have been inseparable ever since! Fast forward to 5 years later, Dan planned this beautiful weekend trip to Chincoteague. It was a beautiful day when they got there. He rented a little boat, drove Jessica out across the water to Assateague Island, and brought them right up to the ponies. Suddenly Dan got down on one knee and asked Jessica the most important question of her life. 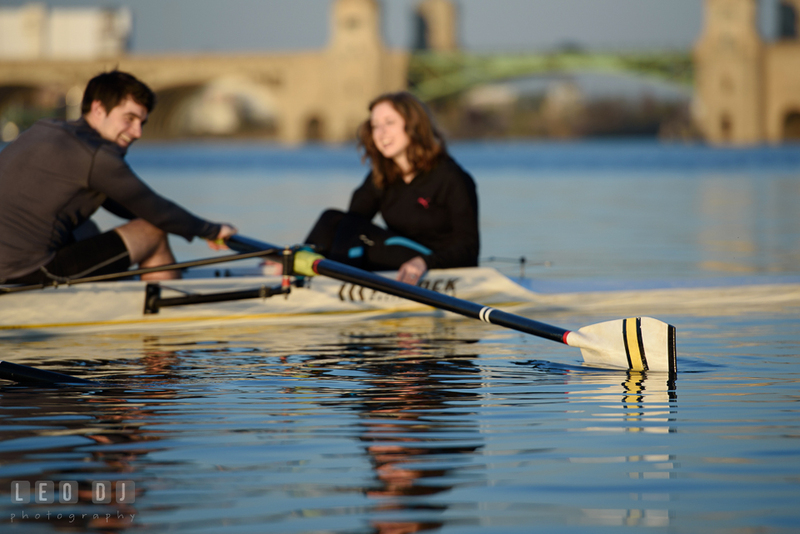 Now, almost 6 years after they’ve been together, they thought that the perfect place for their engagement shoot would be the place where they met and grew to love each other, the Baltimore Rowing Club. It all started with an online wink, followed by many messages and a few phone calls. Their first date was to Edgewater Restaurant where the crab cakes were to die for. Since they hit it off and had so much fun, Kelly & Dave continued with drinks, pool, and a little dancing. That one date turned into many dates and they were practically inseparable. Dave also got along very well with Kelly’s daughter, Caitlin. They all moved in together in Annapolis. The past Easter before a planned trip to see both families, Dave surprised Kelly with a stunning present in her Easter egg! After saying yes and slipping that most beautiful ring on her finger, they had a newfound excitement for visiting their families that day. Between Dave’s love of history as well as their own history of date nights and their first home being in Annapolis, it was only natural that they wanted their engagement pictures in downtown Annapolis. Moreover, they also spent lots of time hiking, playing softball, ice skating, and kayaking at Quiet Waters Park. 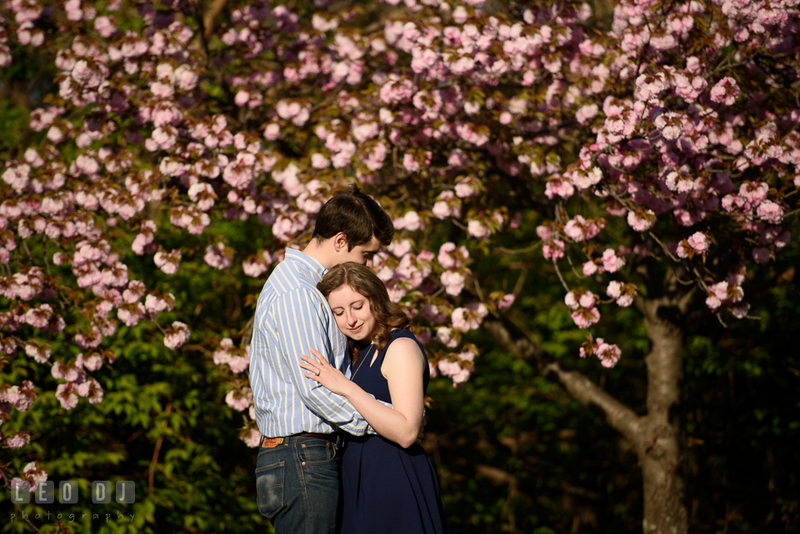 Therefore, we also went to the park afterward for their engagement photo session. Katie and Scott first met in the Summer of 2012 and bonded over their love of emo rock music at the Virgin FreeFest music festival. After a few weeks of getting to know each other, Scott asked Katie out on their first date where they went to Annabel Lee Tavern, an Edgar Allen Poe themed restaurant. Almost three years later, he organized a weekend trip to Gettysburg, PA for a 20 mile bicycle trip around the battlefield. Little did Katie know, Scott had a surprise! At the end of the bicycle trip, Scott proposed to Katie in an area called the Peach Orchard. They are looking forward to living happily ever after. The couple chose Patterson Park because it has been a part of their lives since they have moved to Baltimore 5-6 years ago. They visit it a few times each month to go running, play tennis, or attend an event. The park is also very beautiful for the outdoor-loving Scott and Katie. 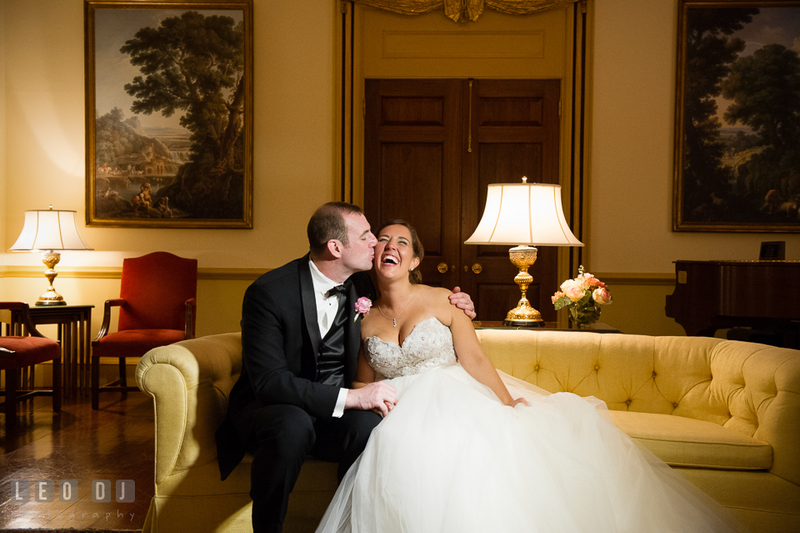 Eric and Kathleen met in 2010 at Ryeligh’s Oyster in Baltimore, followed by their date at the Annapolis Summer Garden Theater where they saw the musical Chicago. In May 2015, the couple went for a weekend getaway in the mountains with their golden retriever, Clara. After a full day of hiking in the Shenandoah Valley, Eric then proposed to Kathleen at the top of the mountain overlooking the valley. 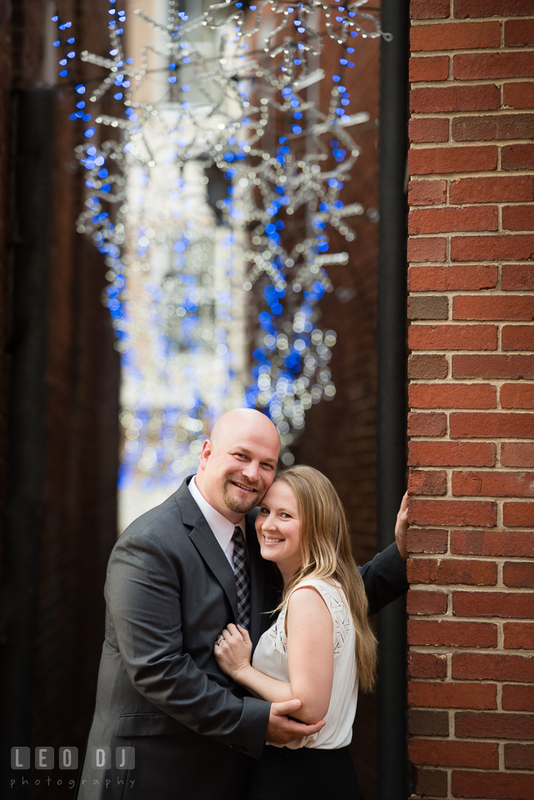 Their upcoming wedding will be an intimate affair in June 2016 at the Kent Manor Inn. 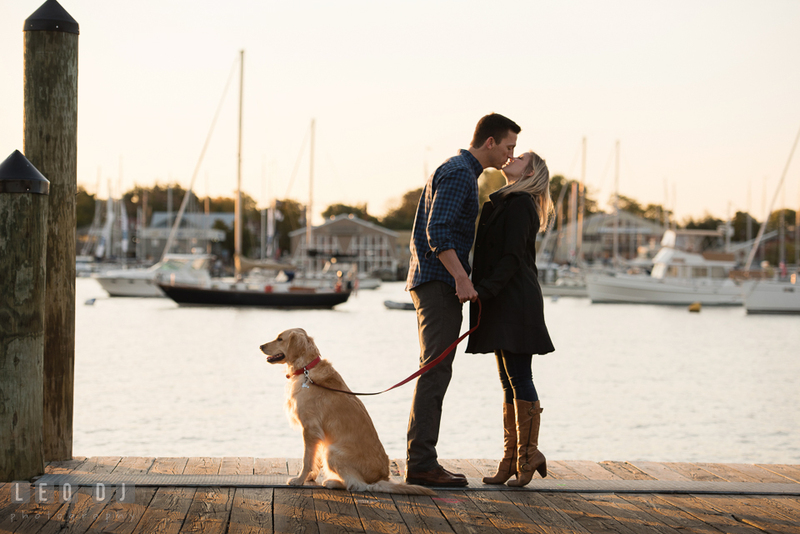 For the engagement photo session, Kathleen and Eric picked Annapolis for the obvious reason, because the city had special memories for them, especially the Annapolis Summer Garden Theatre. They also brought Clara so that she could be photographed with them as well! Brittany and Andy met approximately four years ago while working for the Anne Arundel County Government, then began dating two years ago and had been together ever since. Andy’s dog, Kaizer, had been a very important part of both Andy and Brittany’s lives. So when he finally decided to pop the question, Kaizer had to be involved. The couple were headed out to dinner and Andy feigned Kaizer having an illness. Andy then asked Brittany to “check out” Kaizer to see what was wrong, and when the pooch came into the room, Brittany noticed that there was a large “growth” on Kaizer’s neck. Upon closer examination, she discovered that the “growth” was in fact a ring box containing the engagement ring of her dreams. Once Brittany, and Kaizer, calmed down, Andy was able to retrieve the ring from Kaizer’s neck, slip it on Brittany’s finger, and the rest – as they say – is history…. For the engagement photo session, Brittany and Andy picked Wye Island because it was scenic and conveniently not too far from their home. Andy also used to go to the Wye Island NRMA a long time ago for picnic and camping. Posted October 29, 2015 to wedding by: Leo Dj. Leo and Nita trusted me with the choice of location for their pre-wedding photos, somewhere with beautiful outdoor scenery in an area they had never been before. 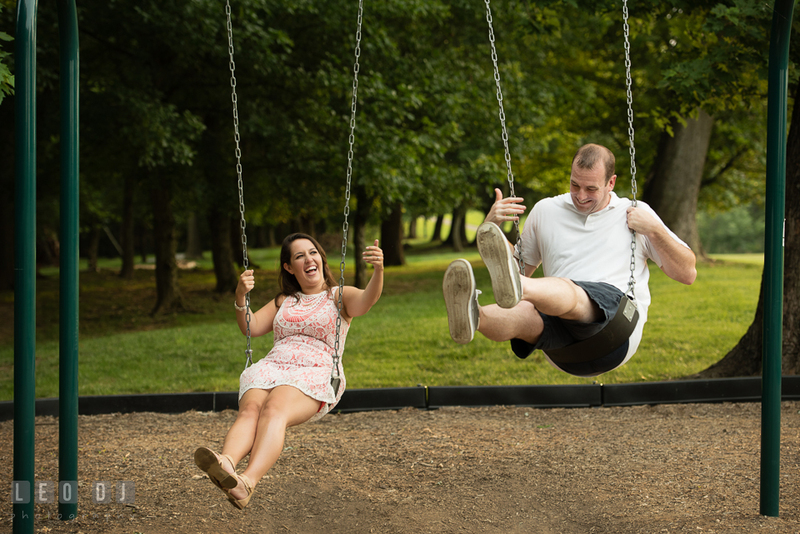 I immediately suggested that the engagement photography session should be at Quiet Waters Park, Annapolis, Maryland. They loved the place. And now for their wedding, the couple picked a place closer to their home. When Nita and Leo were looking for wedding venues, they wanted it to be in Northern Virginia between Alexandria and Chantilly, with an outdoor ceremony and indoor reception. Hidden Creek Country Club in Reston, Virginia seemed to fit their needs. Although when they first booked the venue, they were still unsure of how many guest would be invited, but since this venue was quite big and could accommodate their needs, they went ahead. They also liked that the ceremony site was overlooking the green golf field. Posted October 29, 2015	to wedding	by: Leo Dj. Posted October 15, 2015 to wedding by: Leo Dj. I had a great time capturing Brad and Lynsey’s devotion during their engagement photo session at River Creek Club, Leesburg, Virginia, especially when – as an added bonus – they brought their beloved cute dog, Weegle. And I was really excited when I found out that they were going to include Weegle in their wedding ceremony! Lynsey and Brad chose the Aspen Wye River Conference Centers because it was such a unique and beautiful venue. A truly hidden gem which not so many people have heard of. One of the biggest draws as well was that the couple could rent out the entire property and had many of their guests to stay on site during the wedding weekend. Brad and Lynsey had wanted to be able to visit and hangout with all their friends and family throughout the weekend, hence with the Wye River Conference Centers’s amazing pools, event spaces and unique guest layout, this was easily achieved. It certainly created an aura of a private event, where they could have the rehearsal dinner, welcome pool party, ceremony and reception all at one place. It was really marvelous that the venue also allowed their dog to stay at their hotel room and take part during the ceremony. Posted October 15, 2015	to wedding	by: Leo Dj. Posted September 30, 2015 to wedding by: Leo Dj. In the early Spring of 2010, University of Maryland’s annual on-campus housing lottery was about to begin, and Lauren was interested in living in a quad in her current residence hall. One day, Lauren and her current roommate wandered over to check out the guys’ quad on the other side of the floor, where Kyle and one of his roommates were there at the time. Kyle was shocked that such a beautiful girl would just walk into his room! Smitten, he was determined to see her again. Kyle finagled a “chance encounter” through a mutual friend, and “casually bumped into” Lauren. A date, first kiss, and happily ever after followed. Every year, Kyle’s old college roommates have a large tailgate for a Maryland football game. For the Homecoming 2014 tailgate, Kyle planned an even bigger celebration. He designed and purchased a beautiful ring over the summer, and then invited both Lauren’s and his own parents to the tailgate. After arriving at the tailgate and mingling for an hour or so, he brought her to the location of their first kiss, got down on one knee and made her the happiest girl at the game (and in the world). They both went back to the tailgate after the proposal and champagne and toasts ensued. And to top it off – Maryland won the football game! 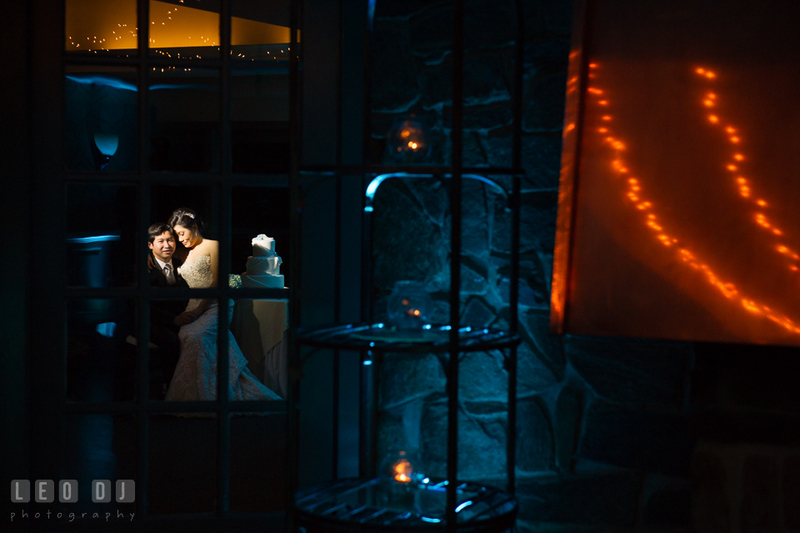 Lauren and Kyle loved The Mansion at Valley Country Club at their first glance. It was elegant and beautiful inside out. However, the sports-memorabilia bar was the one that sealed the deal for them because they were both sports fans. It perfectly reflected their interests and personalities! Posted September 30, 2015	to wedding	by: Leo Dj. Posted August 25, 2015 to wedding by: Leo Dj. It was awesome to capture Jenna and Lee’s love for each other during their stylish romantic engagement in downtown Annapolis, Maryland. However, their wedding at the Loews Annapolis was super fun! They sure knew how to party, not to mention that they hired a 26-piece music band! Jenna and Lee looked all over the DC and Maryland area for a wedding venue. They didn’t know exactly what they wanted. 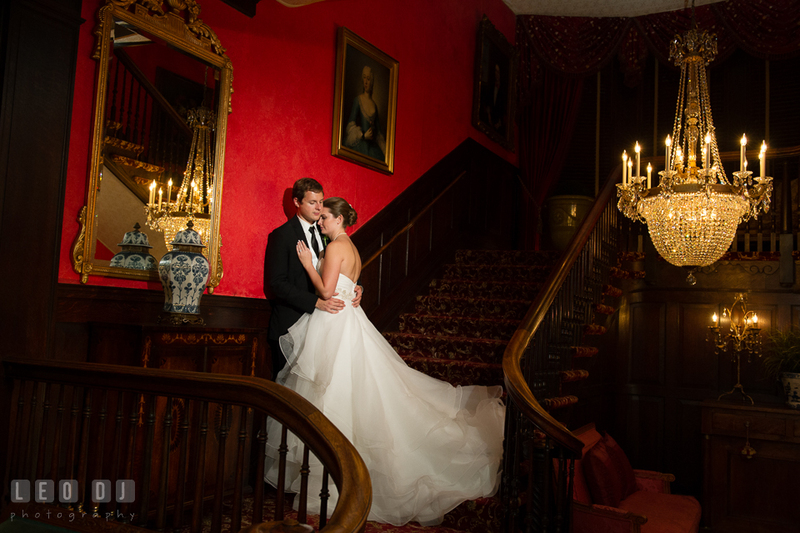 However, as soon as they walked into the Loews, they knew that it would be perfect. Despite the Loews being a large corporation, nothing about the hotel felt corporate. Suitably located in Downtown Annapolis, it felt more intimate than any other location they had visited. Everything about the hotel was beautiful, especially its atrium with the open ceiling and natural light, a unique place to hold a ceremony. Posted August 25, 2015	to wedding	by: Leo Dj. Posted August 13, 2015 to engagement session , pre-wedding by: Leo Dj. Brad and Lynsey met through family friends and became best friends. During the years Brad asked her out frequently, but Lynsey would always turned him down so as not to ruin their friendship. He oftentimes would say “I just know we are supposed to be together”. Crazy as it might have sounded, turned out that he was right! After four long years they finally started dating, and it had been an amazing journey ever since. “Teenage Dream” was their theme song, since being with Brad makes Lynsey feels like a teenager, as he always planned for adventures and was the funniest person she knew. 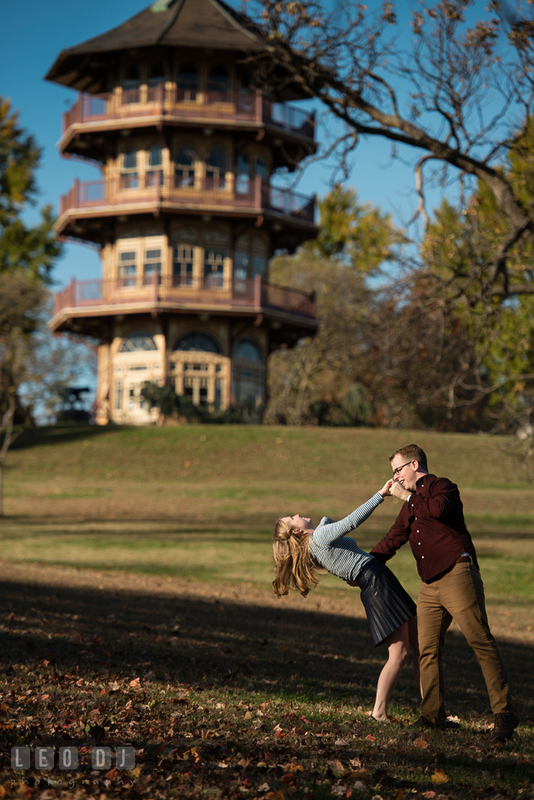 For the engagement proposal, Brad planned elaborately from a month before by including her parents. Lynsey blew it by changing plans last second by going to the movies with friends instead of a hike, and thought it was really weird that Brad wanted to watch The Hunger Games too. When they got home she went outside to play with their dog Weegle in their backyard, and he joined them. They laid on the ground looking at the sky on a beautiful day in Autumn. He had the ring in the pocket the whole time, then at the spur of the moment when Lynsey got up and turned around, Brad was already on one knee with the ring. Lynsey was really surprised! When she called, her Mom thought that Lynsey had got in a car wreck because she was crying so much. It was the most perfect proposal ever, being outside in the lovely yard with their dog! Posted August 13, 2015	to engagement session , pre-wedding	by: Leo Dj.